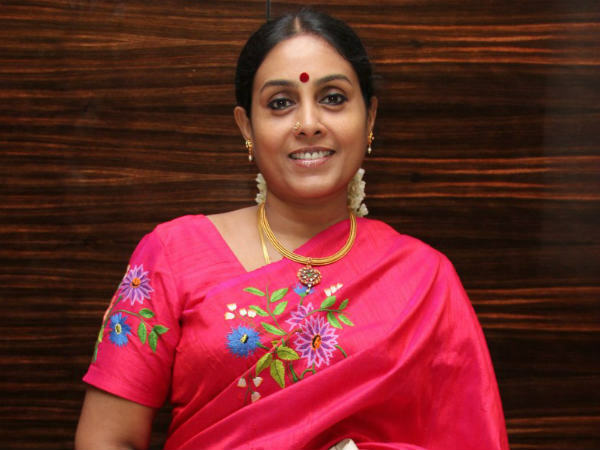 Saranya Ponvannan is an Indian film actress who has predominantly appeared in Tamil language films. Saranya made her debut in a lead role in Mani Ratnam's Nayagan and went on to play lead roles in a few films during the late 1980s. Following an eight-year sabbatical, she returned to feature films as a character artiste, playing supporting roles, particularly playing mother characters to lead artists. For her performances in films including Raam (2005), Thavamai Thavamirundhu (2005), Em Magan (2006) and Kalavani (2010), she has received notable critical praise and several accolades, including four Filmfare Awards for Best Supporting Actress, while her performance in Thenmerku Paruvakaatru fetched her the National Film Award for Best Actress in 2011.